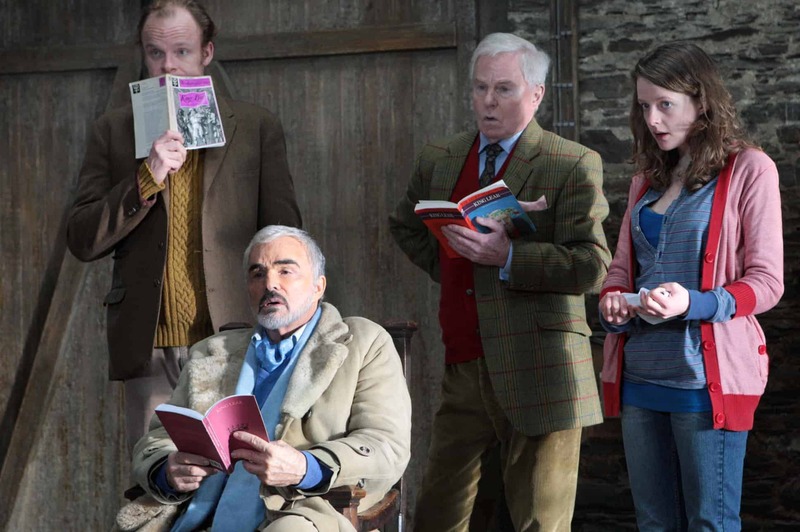 The late Burt Reynolds stars alongside Imelda Staunton, Derek Jacobi and Samantha Bond in this British comedy, chosen for the Royal Command Performance 2008. A Bunch of Amateurs was written by Jonathan Gershfield, John Ross and acclaimed British comedy writers and political satirists Ian Hislop and Nick Newman. Reynolds stars as Jefferson Steel, a has-been Hollywood action hero who, out of work, vain and insecure, is desperate to revive his flagging career. Under pressure from his client and at his wits end, Jefferson’s incompetent LA agent Charlie (Durning) is forced to go through his trash in a final attempt to find Jefferson work. He stumbles upon the perfect role: a prestige run in the British theatre playing King Lear at Stratford. Believing he has landed the role of a lifetime, Jefferson arrives in the UK only to discover the reality. Instead of a leading role in a Royal Shakespeare Company Production at Stratford upon Avon, Jefferson has in fact committed to star as King Lear for an amateur dramatics group based in Stratford St John in Suffolk. A Bunch of Amateurs is a Trademark Films production in association with Limelight and Lipsync Productions.